Our easy to use lone worker solution is ideal for those operating in the utilities sector, where employees come across a wide range of safety challenges that could leave them injured and incapacitated. StaySafe is used by a range of utility companies across the world and offers reliable protection by raising an alarm in an emergency even if a lone worker is unable to do so themselves. Lone working has become commonplace for those working in the utilities sector. Many employees regularly travel between, and work on sites alone or carry out work in empty properties and client homes. While working alone is usually safe, lone working brings with it additional risk as any danger faced, is faced alone. The StaySafe app ensures lone workers have a way to signal for help in any situation. 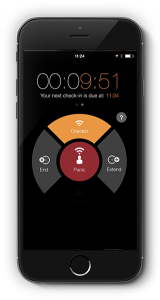 A panic button can be used at any time, while missed check-in and session expiry alerts will send an alarm even when the lone worker can’t. Non-movement will detect if an employee has been incapacitated while a wearable button can be worn to detect falls. At StaySafe we have specifically designed functionality to overcome common lone workers challenges faced in the utilities industry. A panic button can be pressed at any time to signal for help, while missed check-ins and man-down alerts will notify someone even when a lone worker is unable to reach their phone. The app also monitors the location of lone workers in real-time and allows them to check-in safely once they have finished a lone working or travel session. A note taking facility allows lone workers to add extra details to a session such as where in a building they are based or when they are about to enter an area of low signal. The StaySafe monitoring hub provides an accurate location and up to date safety status so that you always know where your employees are and if they are safe, even when travelling between different jobs during the day. Water solutions company, Celtic Anglian Water (CAW) who provide treatment services across Ireland, use StaySafe’s app and wearable tech to keep Lone Workers safe. If you are looking for a lone worker solution trusted by clients all over the globe, we would love to hear from you.